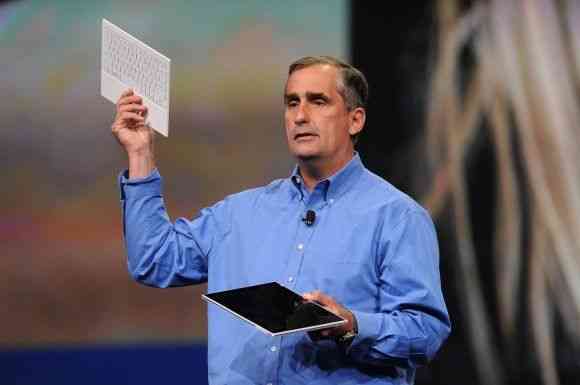 Our very own Chippy as at the IDF 2013 keynote right now, he’s updating with live info here. 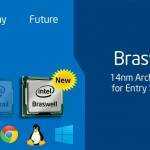 Intel says that it’s new Bay Trail processors are the company’s “first tri-gate 3-D 22nm quad core SoC and its most powerful processor to-date for tablets and other sleek devices…”, representing some of Intel’s latest processor innovations. The Intel Atom Z3000 which is targeted toward thin, low-power fanless devices, features Intel Burst 2.0 with four cores, four threads, and a 2MB L2 cache. 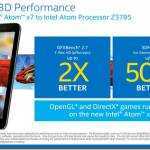 Intel says that Atom Z3000 offers three times the graphics capabilities of previous Atom processors, along with support for DX11. 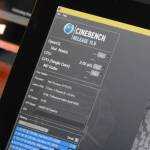 Displays up to 2560×1600 are supported, along with Intel Quick Sync Video, and WiDi. 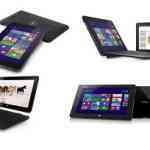 Atom Z3000 supports both Windows 8 and Android. Intel says that the processor is aimed at Windows and Android devices from 7 to 11.6 inches, and as thin as 8mm, with up to 10 hours of battery life. 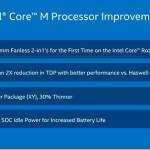 Bay Trail-M will come in four SKUs: Penium N3510, Celeron N2910, N2810, and N2805 processors. Intel says that these SKUs can support low-cost touch-enabled laptops, with fanless designs, as thin as 11mm, at 2.2 pounds and up to 8 hours of battery life. The processors are up to two times faster in productivity applications and up to three times faster in graphics over the last generation of these processors. 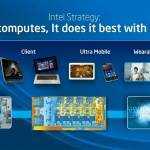 Intel expects costs to start at $199 for laptops, $250 for a touch laptop, and $349 for 2 in 1 devices. Keep your eye on Chippy’s Google Plus and Twitter for more directly from IDF 2013! Mind, unless everything works as it should then it could result in a big battery drain, which was a issue for some Clover Trail tablets that didn’t have proper drivers and/or firmware set up… Even a bad WiFi driver could cause the battery drain issue. While Android support is having optimizing issues of its own but they expect to have that cleared up in another two months. That’s great to hear it launch, hopefully we can see some proper sucessors from the last gen. All the releases so far are just 8″ or weak 10″ devices.